Harvest Moon is an iconic game when it comes to simulating a farmer’s life, where you have to plant crops, raise livestock and or even fish for food. Most of us may have grew up playing this game. That said, there are many new Harvest Moon alternatives these days. 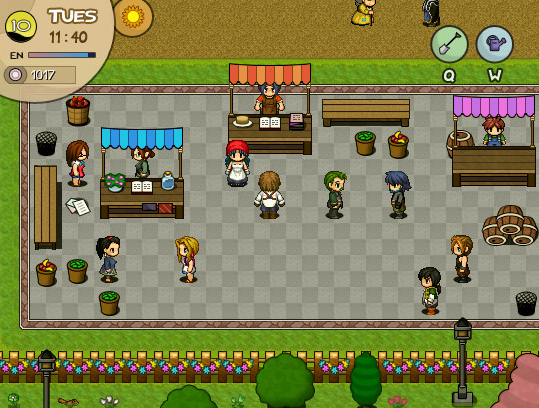 Here are some of the best games like Harvest Moon today, whether on your smartphone or on PC. Stardew Valley seems to be the most well known or popular game in this farming simulation genre. In this game, you supposedly inherit a farm plot in this place called Stardew Valley. You are only given a few tools and money to begin this new life. There are plenty of features in this game. For starters, you can raise livestock, plant crops, make an orchard, craft machines and so much more. Your plot of land is big enough to do all sorts of things. Furthermore, you also have features like mining, fishing, farming, foraging and combat, which is reminiscent of Runescape. The interesting part about Stardew Valley is that you get to converse with plenty of unique characters, where each character has their own birthday, cut-scenes and so on. It doesn’t get boring at all. There’s also this feature where you can get married from a list of bachelors / bachelorettes to choose from. One difference between Stardew Valley and Harvest Moon is that this game actually has monsters. Do play this game to learn more about it! 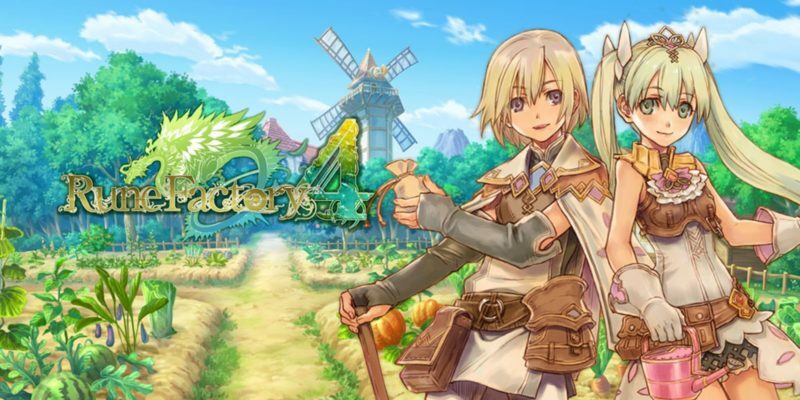 Another Harvest Moon alternative is Rune Factory 4. This game is only on the Nintendo 3DS and is considered as an RPG. You can also do a lot of things in the game, including exploring dungeons, farming and getting married. What you’ll realize is that the game may be centered more on combat, rather than just farming. You have to also do a lot of crafting, where you need to create equipment for your character. Equipment is equivalent to character progression, rather than the leveling system in regular RPGs. In Rune Factory 4, you have the option to go out with a bachelor / bachelorette and get married. You can even have a child together. The equipment you crafted can be used for your main character and even for your child. 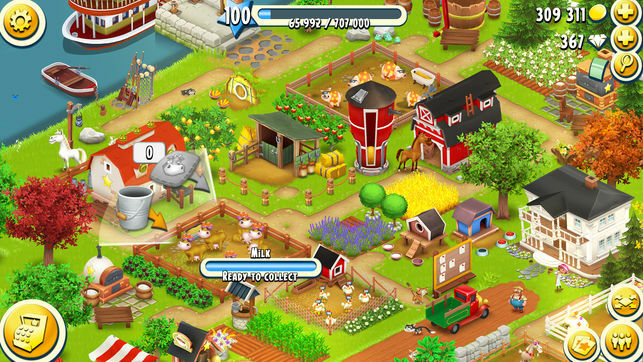 Farm Up may be more popular on your smartphone, i.e. Android or iOS. As the name suggests, it’s pretty much a farming simulation game. In this game, you can raise animals, grow crops and sell the produce for a profit. It’s all about the simple life in Farm Up. You have the option of over 30 types of crops to grow, including watermelons and potatoes. You can also raise cows, chickens and bees, among others. A lot of time is needed to take care of them. You have to give water to your plants and food to the animals. This game may be more straightforward, where you don’t have monsters coming after you like in certain games, but you do have to get rid of pests. Another game similar to Harvest Moon may be World’s Dawn. This game is currently available on Steam for less than $6. The graphics is quite refreshing and is rather cute to look at. 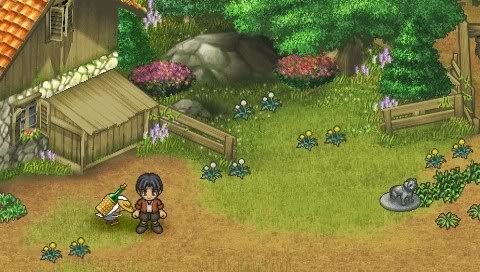 Like Harvest Moon, it has many unique characters where you can interact with and the setting is a seaside village. You can do a lot of things, including fishing, mining, cooking, growing livestock, harvesting crops, finding love and even building friendships. It’s definitely a fun farming simulation game. With so many things to do, it’s unlikely that you’ll get bored so quickly. The makers also claim that you can spend at least 30 hours of fun on this game. Do check it out today. Hay Day is a farming simulation that’s popular on the smartphone, be it on an iOS or Android system. Furthermore, more than 10 million users (whether fake or not) have rated the game with more than 4 / 5 stars, making it one of the top simulation games in many countries. Like the other games mentioned here, you’re mainly tasked with managing your farm. It’s a free game but it does have in-game items where you can buy with real money. 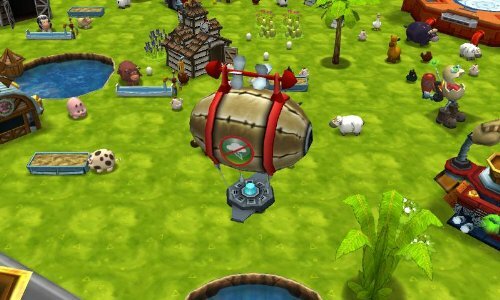 Some of the features of this game includes growing your farm, trading crops with neighbors, repairing your dock, fishing, building your town and even welcoming visitors. 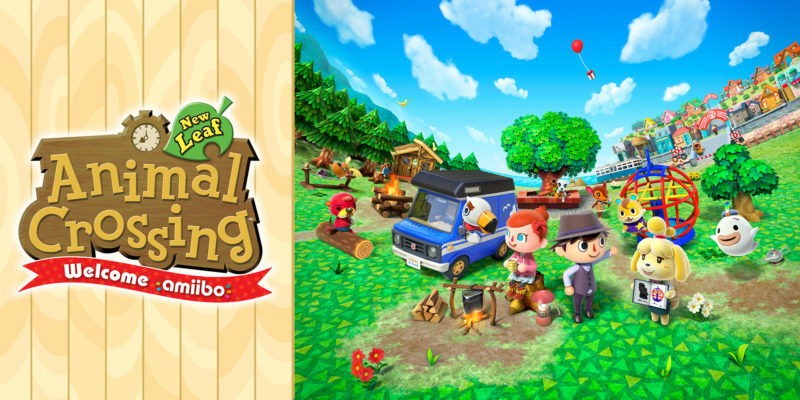 Animal Crossing is not a new game and New Leaf is yet another installment to this popular farm simulation series. In this game, you take on the role of a mayor (by mistake) and are given more powers than in the older games. There are plenty of things to do in town, like talking with residents, fishing, catching bugs or even selling items. As you start the game in a tent, you can slowly upgrade and customize your home to make it much better. In fact, customization is said to be one of the main attractions of the game. You can also modify your character’s appearance and decorate the town. This game is purely on the Nintendo 3DS, and as such, you can actually visit your real life friend’s town in the game. This gives players incentive to actually manage their towns well. This installment of Animal Crossing also includes a new feature of swimming in the ocean. Next on the list of games like Harvest Moon is none other than Shepherd’s Crossing 2. This game may not be exactly similar but it does give a sense of familiarity. Unlike Harvest Moon, you don’t need to spend so much time to do repetitive tasks when watering plants or digging the land. Like the other games, you can plant crops, raise different kinds of animals from baby to adult, cook food and even get married. However, the marriage feature isn’t as good as some of the others, as the dating or courting features are rather lacking. Shepherd’s Crossing 2 is great for those who hates repetitive actions and loves a farming simulation game. Story of Seasons is a good alternative to Harvest Moon and great for those who love to play a farming simulation game. It’s suitable for those who always wanted a farm but don’t have the land to do so or even the time. In this game, you have to look after your farm, take care of the crops and animals and most of all, live a simple life. This best-seller farming simulation came back with another installment called Trio of Towns. As the name suggests, there are three towns in the game where you can acquire rare items. These items can also be traded with other players. Furthermore, you can even get to build relationships with bachelors or bachelorettes by way of gifts, events and conversations. Later on, you can even get married and start your own families in the game. Plantera is a side-scrolling game that looks a little like Maple Story. It’s a really simple game for most people, and if you’re the type that gets lost in the intricacies of Harvest Moon, then maybe this game is for you. You get to build your garden and watch it blossom with animals, trees, plants and bushes. When you expand your garden, you can even get new helpers to harvest your plants or pick stuff up. This game allows the helpers to work for you even when you’re not playing the game, which makes it rather easy. The good thing is that it’s an easy game that isn’t so time consuming especially if you’re a working adult. The negative part is that there aren’t many features to play with. Funky Barn may be the only game exclusively on the Wii U. 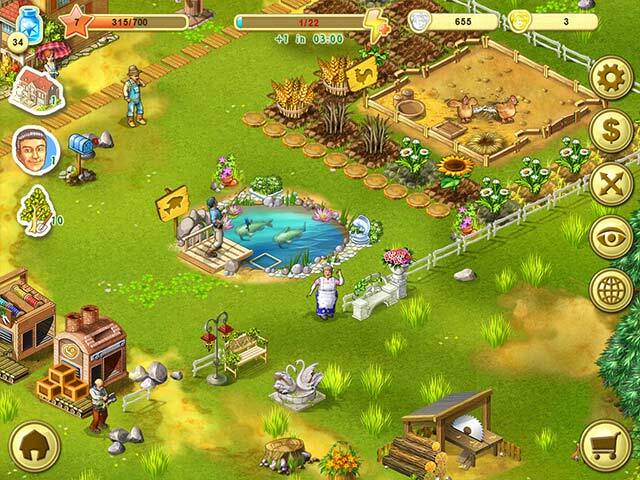 In this game, you’re in charge of running a farm and building up the farm to increase productivity. Along the way, you have to raise new animals or even build new machines to help you (for e.g. a machine to collect eggs). There are also plenty of animals to choose from, like cows, buffaloes, sheep and chickens. That said, it’s a rather simple game. It doesn’t take long before you’re already half through the game. The game may be a little pricey as well. It’s probably best suited for the younger kids. Best Games Like Harvest Moon? 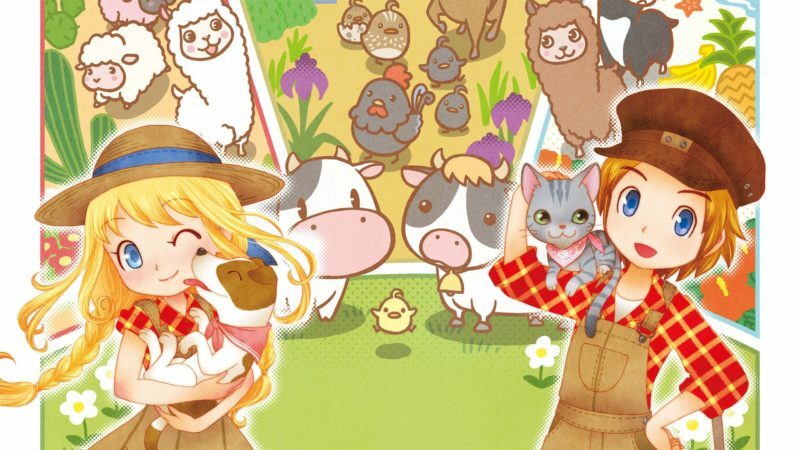 We have listed 10 games that are similar to Harvest Moon above. They are mainly farming simulation games and some of them have unique features like combat. If you do know of other games like Harvest Moon that should have been listed above, do leave your comments below! Story of Seasons is actually Harvest Moon. Natsume had the rights to the name in the US and developed a competing (IMO inferior) line to compete with the original series when Marvelous began publishing the US versions in house. They renamed the series SoS. Marvelous also holds the rights to Rune Factory.